The European season has arrived. Most of the leagues will be kicking off over the next 2 weekends. 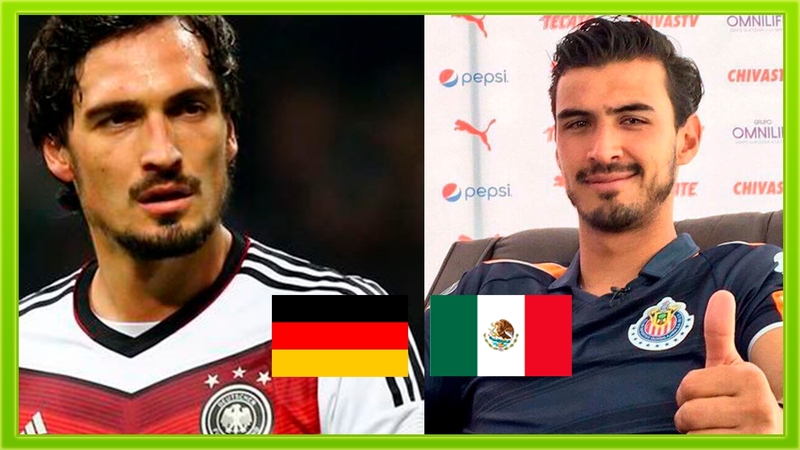 Its a good time to preview the upcoming season for our Mexicans in Europe. Tecatito Corona: This is a make or break season for Tecatito. His contract runs through 2020 and he has had an up and down tenure at Porto. He still starts most of their games but rarely plays more than 65 minutes. He will need to improve his offensive output if he wants to keep his spot on the wings for club and country. He turns 26 during the January Transfer Window and Porto might start to feel out the market for him if they don’t plan on extending his contract. Stat: Minutes, Mins per app, G+A/90 and SOT/90 have all gone down in each of his 3 seasons at Porto (League). Hector Herrera: There is still time for him to move but a contract extension is more likely at this point. He has said he will not force a move and will only leave if Porto want to sell him. Porto’s manager has been high on HH since he got the job last summer. He asked to keep him last season and undoubtedly, did the same this summer. Look for him to be one of the first players on the team sheet every week this upcoming season. Stat: Nearly doubled his league minutes played from the 16-17 season. Omar Govea: He had a really strong showing last season in the Belgium first division. Osorio even gave him his senior national team debut but Porto do not have him in their plans this season. The Portuguese giants want to loan him out to another first division club to continue his development. The 22yr old has a contract through 2020. Similar to Tecatito, he needs to show improvement this season for them to extend. Stat: 32 starts and 4 goals last season. Joao Maleck : After appearing in over 40 games for the U19 squad last season and scoring 21 goals, Maleck is moving up to Porto B. His loan was extended another year from Santos. Unless he flops hard this season, I think Porto will buy him from Santos next summer. Stat: Averaged a goal every 147 minutes. Uriel Antuna: Signed and loaned out by Manchester City last summer but arrived at FC Groningen late and missed pre-season. This will be year 2 of the loan and if pre-season is any indication, he will receive much more playing time this season. This purchase by City has the makings of a buy low and sell at a profit type of transfer. Either way, a strong season in the Eredivisie will be sure to draw suitors or at least a loan at a stronger club. Stat: Averaged 1 key pass per 90mins last season but only saw 11 appearances for 438mins in the Eredivisie. Marco Fabian: Marquito was riding into last season on a really strong finish to the season before. All signs pointed to a good follow up season but back surgery in August derailed nearly all of last season for him. A new manager awaits Fabian this season but so will more opportunities to play. The Frankfurt midfield suffered a few departures and will look to a healthy Fabian to lead the way. He has returned from his post-World Cup break and started the last few friendlies. Stat: Finished 3rd among Bundesliga midfielders in goals during the 16-17 season and averaged a goal or assist every 187 minutes. Carlos Salcedo: Completed a full transfer to Eintracht earlier this summer after playing last season on loan from parent club, Chivas. Like I said in the Fabian preview, there is a new manager but Salcedo’s flexibility allows him to fit into either of his preferred formations. Whether it’s on the right side of a 3 man back line or as a traditional centerback, Salcedo should have no problem seeing the field this season. Stat: 6th among Bundesliga defenders in accurate long balls. Miguel Layun: This is Layun’s 3rd club since January. The former Club America player left Porto in January on loan to Sevilla but Spanish club did not use their buy option. Fortunately for Layun, Villarreal came through with an offer about $4.6mil and kept him in La Liga. Layun’s versatility should keep him on the field for los submarinos. Villarreal is in the Europa League group stages this year and always take that competition seriously. There will be plenty of opportunities for Layun to see the field. Stat: Across 6 competitions and 2 clubs, he scored 4 goals in 1,786 minutes last season. Raul Jimenez: He is finally free of Jona’s shadow in Benfica. He just had to go to England to get away. Raul will be given every chance to prove himself for the newly promoted Wolves. Many are predicting he will start the season as their top striker. He has produced in Benfica but there is a big difference in coming off the bench and scoring goals in Portugal than being a #1 striker for a club in the Premier League. The loan features a buy option that is reported to be around $38mil. Stat: Averaged a goal or assist every 97 minutes last season for Benfica across all competitions. That number jumped to 1 every 74mins in the league. Is there any player you are looking forward to watching on el “viejo continente” ?